Charmingly Chocolate, Issue #18 - Too Much Chocolate! Charmingly Chocolate. Too much chocolate from your Trick-or-Treat Adventures? Here are some great ideas and recipes for putting all that chocolate to good use! November 4, 2008 - Issue #18 - Too Much Chocolate! Is that even possible? Well, how did it go? Did all your little munchkins drag you from pillar to post collecting as much candy as possible on that night of nights? If so, you're probably thinking that you have too much chocolate in the house. After letting the kids indulge for a few days, it's time for damage control! I received some good tips from visitors to Chocolate Candy Mall for ideas of how to put that extra candy to good use. Pick out some and hide it away for your stocking stuffers for Christmas. This will save you some money during that financially tight time of year that is fast approaching. Chop up some of the candy bars and freeze them in freezer bags. Next time you whip up your favorite batch of chocolate chip cookies or chunky brownies, substitute the candy bar pieces for your chocolate chips. If any of your children have birthdays coming up, grab some of the after Halloween clearance candy to make your own party favor bags. It's finally election day in the US! The competition is fierce. Some of us sit on the sidelines and watch while others get into the thick of things, and love every minute of it. zChocolat has joined the fray with their political chocolates that make great gifts for those who take their politics seriously. Their custom wooden boxes are personalized with your candidate and party particulars. Celebrate your candidate's victory or commiserate his defeat with one of these special custom boxes of gourmet chocolates. These beautiful gifts will become collector's items in time. You can enjoy them now and in the years to come. Give this unique and unusual gift to someone you love as a memorable keepsake. Check them out! Do you have anything special planned for your Thanksgiving Day celebration? 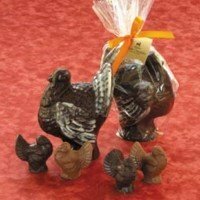 Lake Champlain Chocolates has adorable turkey shaped chocolates you can use as a centerpiece or a generous gift for a friend or loved one. They also have beautiful leaf shaped chocolates wrapped in autumn colored foils and other delicious gifts for the occasion. Do you want chocolate turkeys for Thanksgiving, but don't want to splurge on the professional stuff? Make your own! Here are two simple solutions. You can easily make your own molded chocolate turkey candy by picking up the mold of your choice at Candyland Crafts. Besides turkeys, they have pilgrims, cornucopias, pumpkins, and more. They even have the chocolate for melting whether you want regular chocolate or colored melts for making them a bit more fancy. 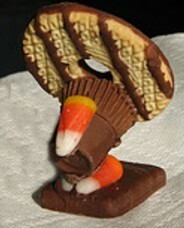 Make your own turkey just like in the photo by using a combination of cookies, Rollos, Mini Reese cups, and candy corn. Stick it all together as shown with a bit of melted chocolate or 'sugar glue' and you're all set. *Sugar glue is made by combining powdered sugar and a bit of water to get a very thick consistency. Have fun! And don't forget to send me pictures! This little section here at the bottom of Charmingly Chocolate is a courtesy to you and to help support the newsletter publication. 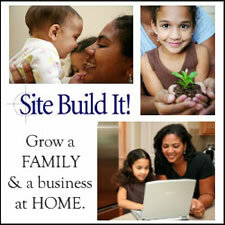 Each month look for free offers, contests, and services that you might be interested in. Free chocolate! HaydeeChocolatier is offering residents of the US free samples of their gourmet truffles just for signing up to their newsletter.